Many of you know that my father, Ricky Dawkins, recently received the gift of life, a new kidney, on December 16, 2012. We are all so grateful to the Lord for giving my father a second chance at a healthy life. Though lifesaving, transplants are very expensive. This is why I’m reaching out to you today. My father was a printer until he was diagnosed with diabetes that quickly led to having to have a toe amputated and becoming legally blind in one eye. Kidney failure followed in 2008. A father of five, and a grandfather too, my father is devoted to his family. Before getting sick, he loved playing basketball and baseball. 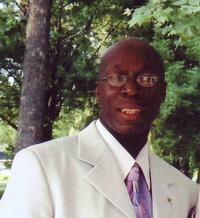 Active in his Baptist church, he loved singing in three different choirs. His current goal is to get back to singing as soon as possible. Many people believe that now that my father has his new kidney, he is out of the woods. This is not true. In order for his body to keep this organ, my father has to take very expensive anti-rejection medications for the rest of his life. He simply cannot afford these without our community stepping up to help him.